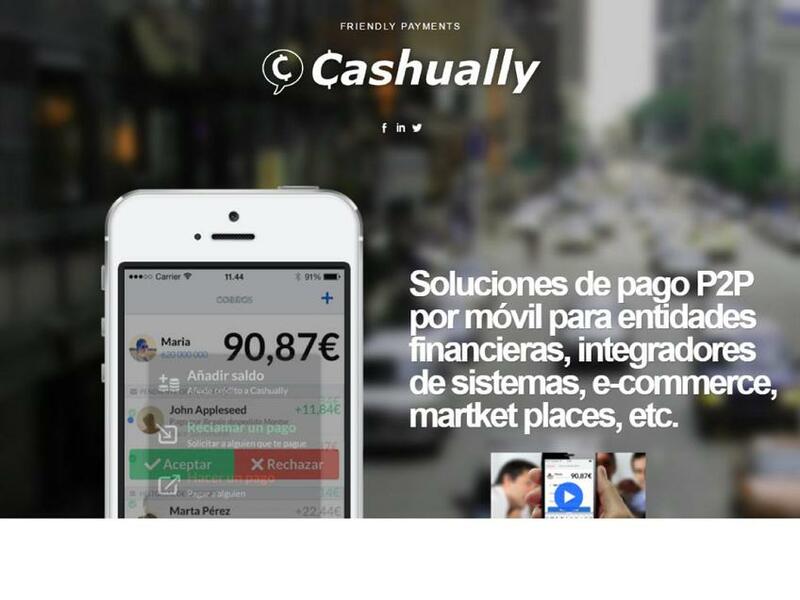 Cashually is a startup company based in London and Barcelona. Cashually is an App for peer-to-peer payments, mainly for payments among friends. Cashually is what mobile payments should be: 100% mobile, fast, simple, secure and free. No bank accounts, codes, complicated processes. The App was launched in Spain in July 2014, and will expand to the rest of EU countries. Cashually is an authorized e-money agent by the FCA. Available in the Spanish AppStore & GooglePlay.